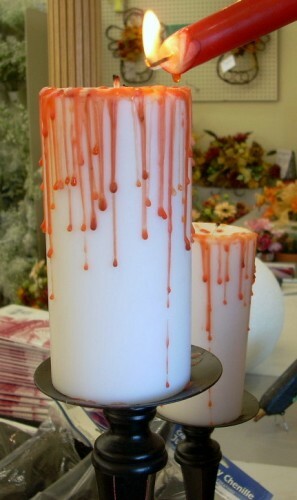 Super easy idea that makes for a great spooky decoration! Idea from Vicki Odell. Fill a (clean) plastic glove with water, seal the end, and freeze it! 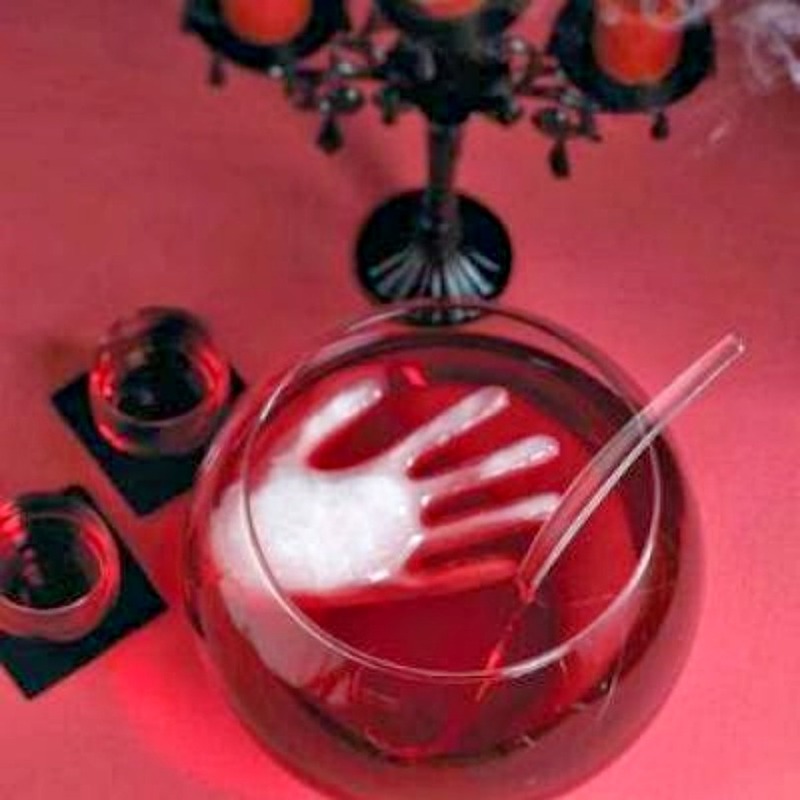 Then use it as a creepy and clever way to keep your party punch cool! Idea from Princess Pinky Girl. 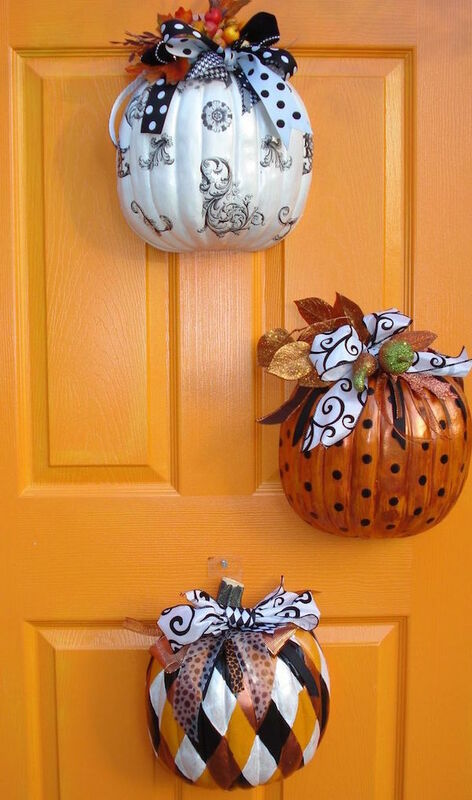 Buy dollar store pumpkins, cut them in half, decorate the outside, and hang them on your door! Cheap, easy, and cute idea from Smart School House. 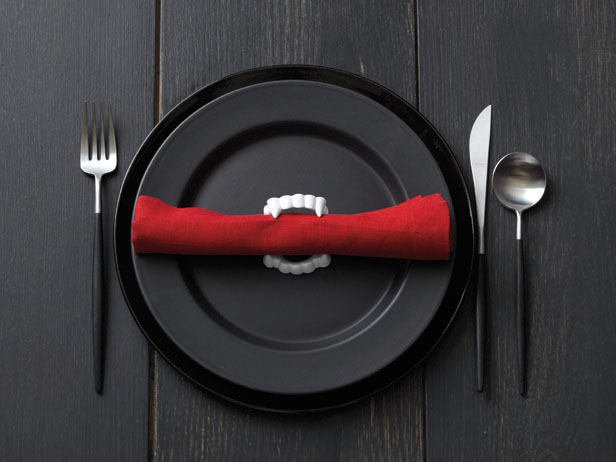 You can buy the fangs for cheap at the dollar store. Great idea from Buzzfeed.